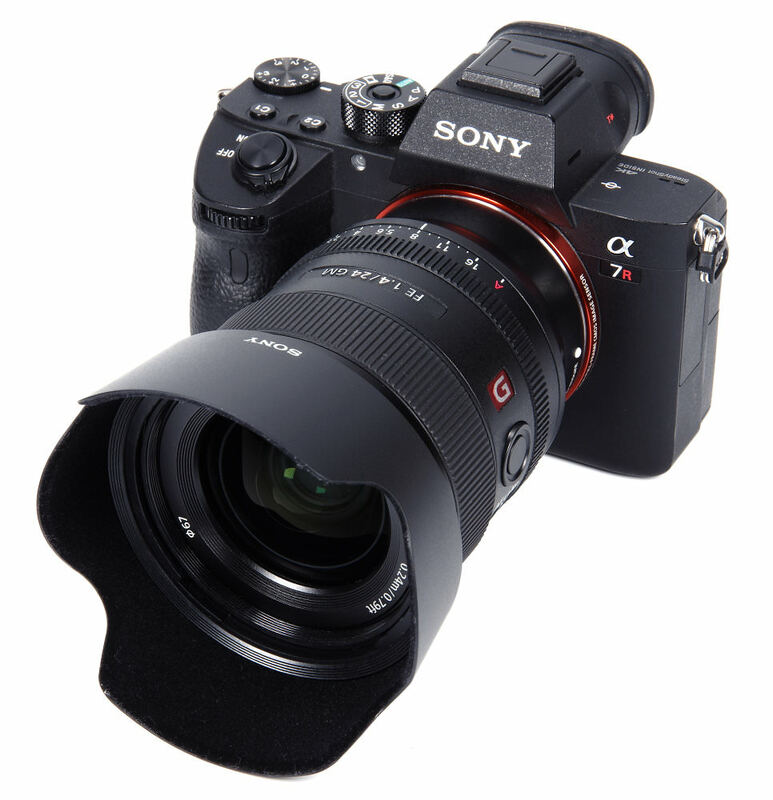 The Sony GM range has produced some extraordinary, superb quality lenses, so we approach this new 24mm f/1.4 with very high expectations. 24mm is, of course, a traditionally very useful ultra-wide on full frame cameras, suitable for a wide range of subjects and part of a continuous trend that brings wider and wider lenses into the arena of general photography. At one time this would have been a very specialised optic, but no longer as our tastes have widened. 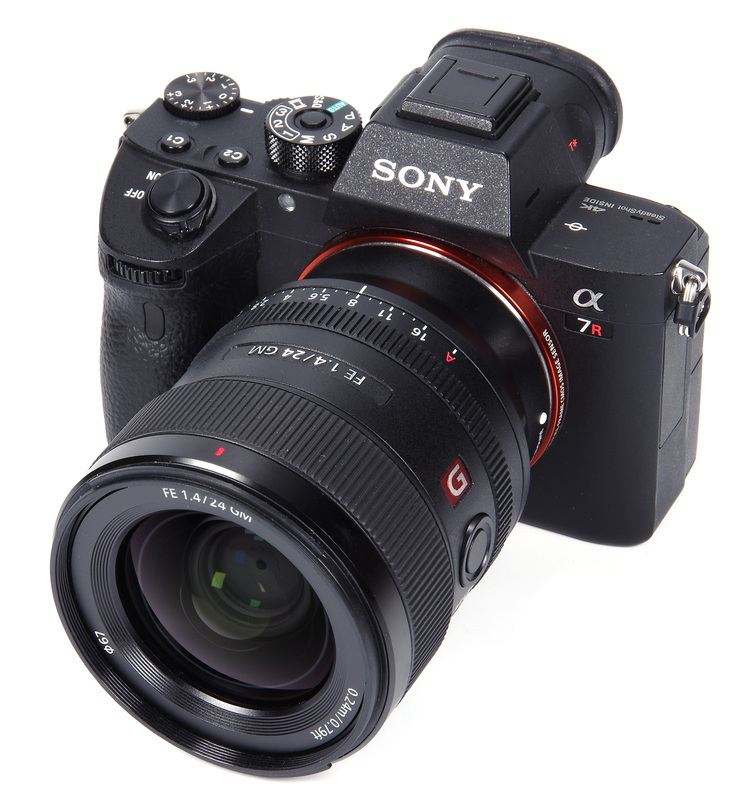 So here we take the new lens plus the 42MP Sony Alpha A7R III camera body to see if we have yet another fine example of the lens makers' art. Weighing in at a modest 445g, the lens matches the A7R III body perfectly. The balance is excellent. The initial impression is of a very well made optic, with all controls being silky smooth in operation. Starting with the provided petal shaped hood, this bayonets cleanly into place and a small catch has to be released to remove it. This is a highly secure arrangement. Within the hood bayonet is a conventional 67mm filter thread. Behind the hood, we find the electronic manual focus ring. Manual focus is engaged using a switch on the lens, or, alternatively, MMF (Direct Manual Focus) can be set in the camera menu. This latter option enables manual focus tweaks to be made whilst AF is set. Focusing is provided via a Direct Drive Super Sonic Motor (DDSSM), which is fast, effective and silent. 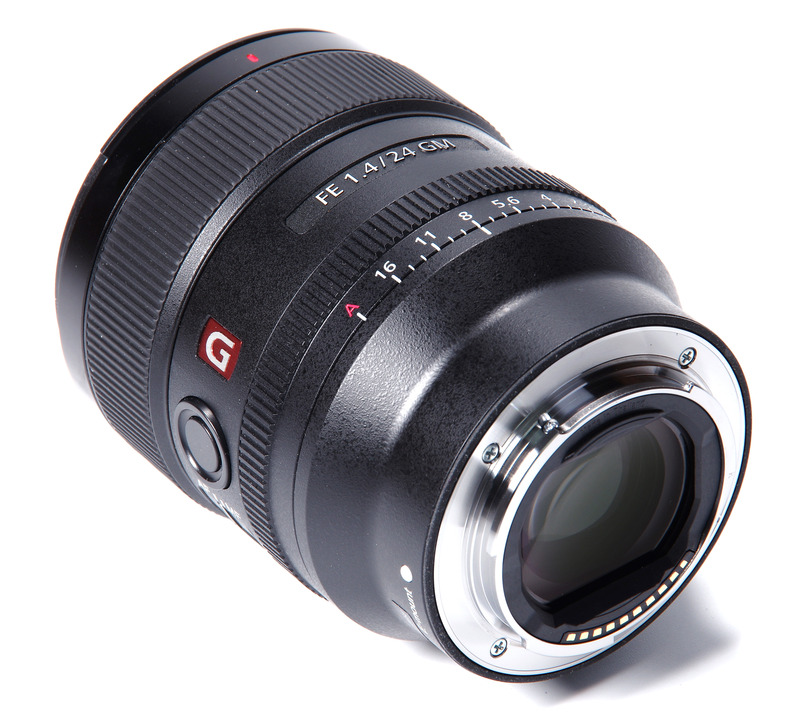 The lens focuses down to 0.24m (0.79 feet), a maximum magnification of 1:5.85, or 0.17x. This is usefully close but does not approach macro distances. There are two switches on the lens. The first is the aforementioned AF/MF switch, which is self-explanatory. The second is the click on/off switch. This switches the clicks of the aperture ring to be deselected, for the smoothest, silent diaphragm operation during video shooting. There is also a Focus Hold button that locks in a distance when shooting using AF. This button can also be programmed with alternative functions, such as engaging grid lines or checking White Balance. The aperture setting ring needs a special mention as it is the most incredible if perhaps over-engineered feature of the lens. The click stops are perfect – firm and precise in third stop steps. There is also an A setting that cedes the control to the camera body, but the ring is so tactile and delightful to use that it seems a pity not to do so. Unfortunately, there is no depth of field scale, as is sadly so often the case. Optical construction is 13 elements in 10 groups. There is use of ED (Extra Low Dispersion) glass plus 2 XA (Extra Aspherical) elements. The diaphragm comprises 11 blades, rounded, which produce an almost perfectly circular aperture. This should enhance bokeh. Finally, the lens is dust and moisture resistant, including the fluorine-coated front element that repels dust, grease and dirt. Reflections are suppressed utilising Sony's Nano AR Coating technologies. 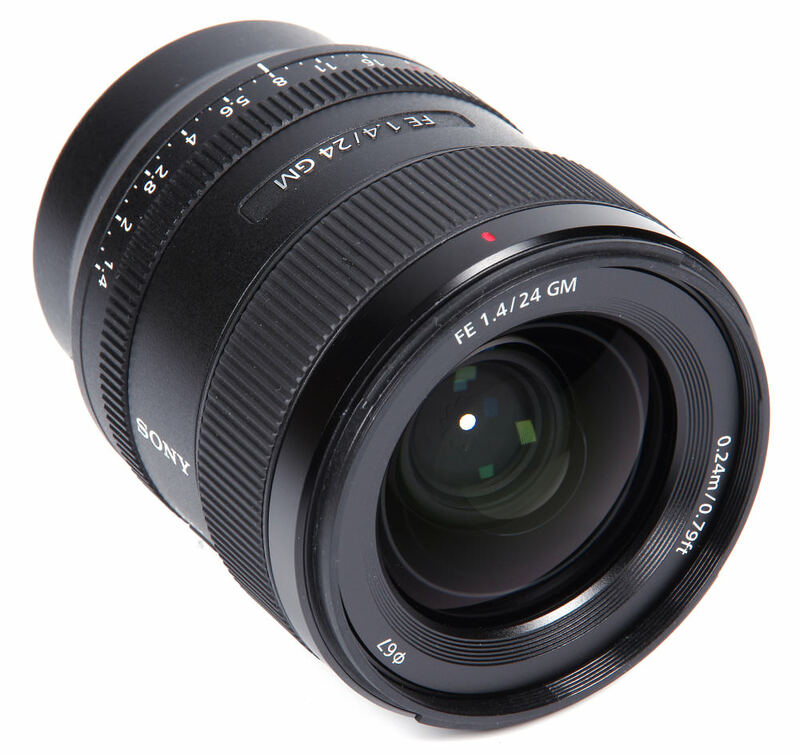 A 24mm lens is a very versatile focal length, and, as alluded to above, as our tastes have accepted wider and wider optics it has become a firm favourite rather than an expensive specialist lens. Accordingly, the target market is landscape, wedding, street and astrophotography. The possibility also exists to use the lens on APS-C format, where we have a “35mm format equivalent” of 36mm.